Reindeer silhouettes have been a pretty popular Christmas decoration this year and two talented ladies shared tutorials on how to make them this Saturday. 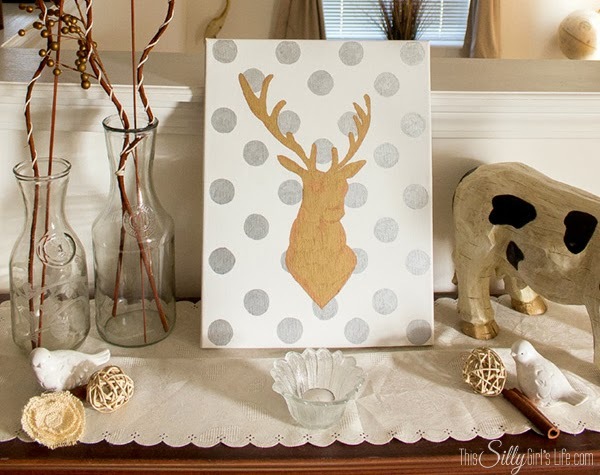 The first, the DIY gold reindeer silhouette canvas is from This Silly Girl's Life. She used Sharpies to make hers, which is right up my alley because paint brushes and I don't always get along. And the second tutorial is from Our Second Hand House. 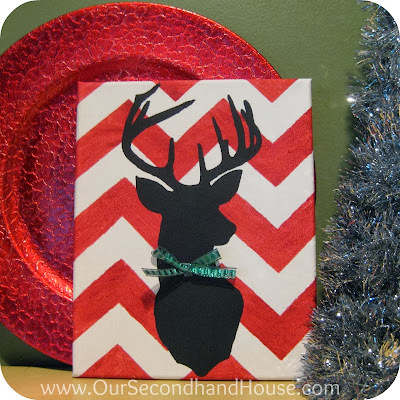 She uses paint to create her deer silhouette canvas. It might be a little late in the holiday season to make one this year, but the tutorials for both would easily work for any holiday. Maybe a cupid silhouette for Valentine's Day or an Easter bunny silhouette on canvas? Thanks for sharing my Deer Silhouette Canvas! Thanks so much for sharing my diy canvas art!